On April 13th at 10 am, research vessel Alkor left the GEOMAR pier for resarch expedition AL476, the first of our two 2016 Baltic Sea integrative time series cruises. 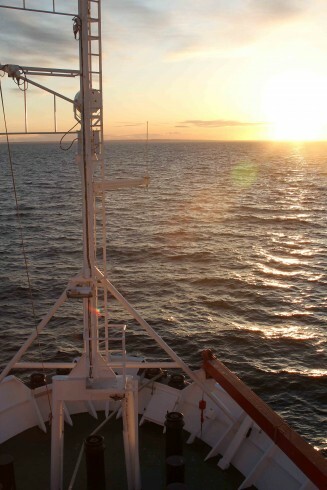 We are 11 scientists including both experienced researchers and students, and 12 permanent crew members on board. 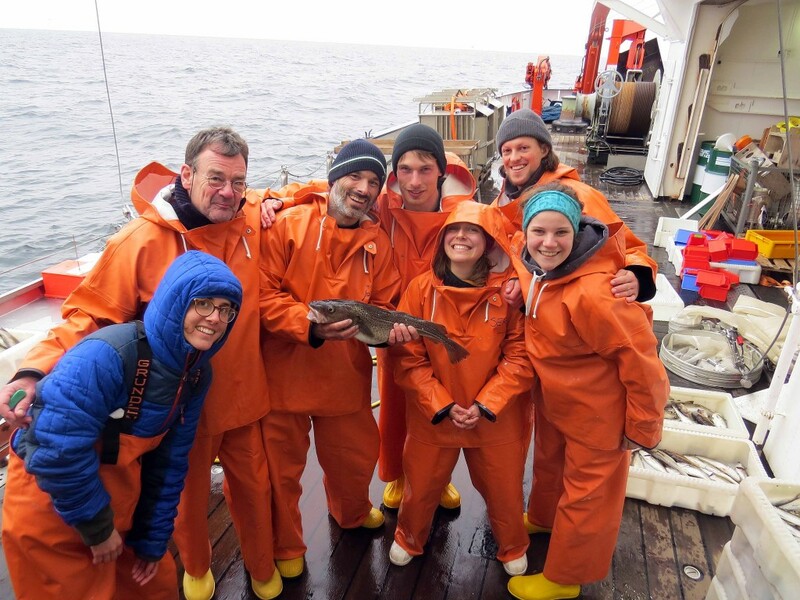 Our objective: to gather interdisciplinary data that will expand a long-term data series of oceanographic parameters, foodweb characteristics, and information on the “big three” commercial fish species, cod, herring and sprat, that started 30 years ago in 1986. All of this work will contribute to the EU BONUS project BIO-C3 – Biodiversity changes: causes, consequences and management implications, providing long-term insights into past changes that will help to predict future states of the Baltic Sea. Since we left from Kiel 9 days ago, we have caught, measured, dissected and sampled fish, have pre-sorted plankton samples under dissecting scopes and conserved them for later analysis, have observed hydrographic profiles of the Baltic. We have seen seabirds and migratory birds, beautiful sunrises and sunsets, stormy seas and waves on deck, fishing boats, container ships and the tall ship “Krusenstern”. We had a phantastic stay in Gdynia, Poland. We have experienced work and life in day and night-shifts on board of a ship, many of us for the first time. We have gotten to know each other and become better and better working as a team. Until we return to Kiel one week from now, we will post information about these and other experiences on board, report on scientific observations and projects, and hope to show you a little bit of what life and work on a research cruise are like. If you want to find out where we are as we post, click here.